Jonielle Smith has won the women’s 100m silver medal on Day 2 of the 2018 NACAC Track & Field Championships underway in Toronto, Canada. Smith clocked 11.07 seconds, finishing second to American Jenna Prandini who won the race in 10.96. Olympic and World champion Shelly-Ann Fraser-Pryce finished fifth after a powerful start. 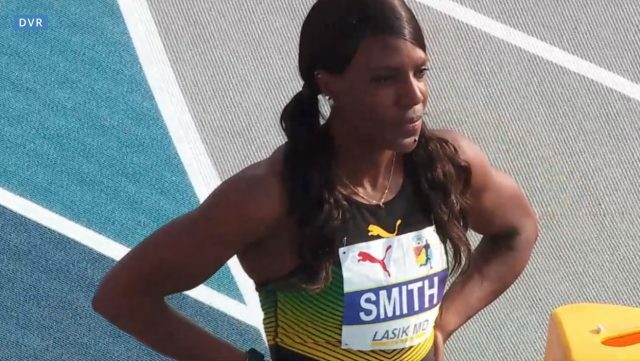 Fraser-Pryce clocked 11.18 seconds, much slower than her winning 10.98 she recorded at the London Diamond League 100m race, less than a year after giving birth to her son, Zyon.